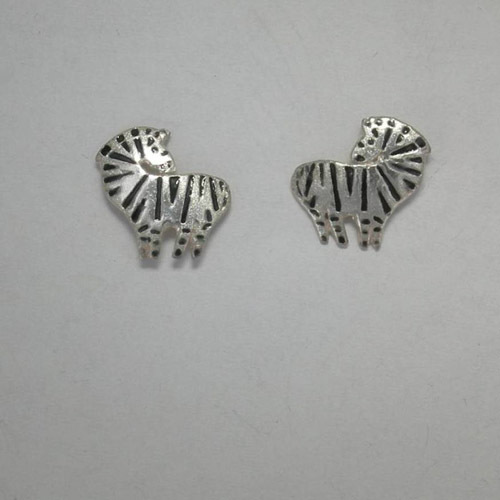 Desc: Sterling Silver enamel Zebra post earrings. Each Zebra is fashioned from Sterling Silver and has black enamel to resemble the stripes. Each Zebra is standing and has the head looking back over the back. The earrings have bright polish finishes.